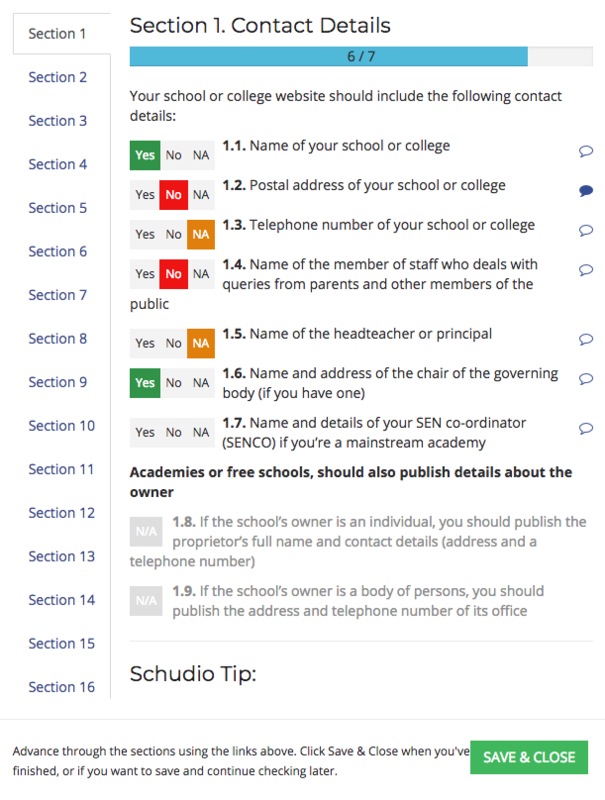 The Schudio CMS software now includes an online School Website Requirements checker for your school or college website. It's available for all Schudio website clients, and is also available to sign up for from a page on our website. The Online School Website Requirements Checker is available from the left hand menu in the website admin tool. Before you begin the check on your website is is advisable to go in and select your settings. 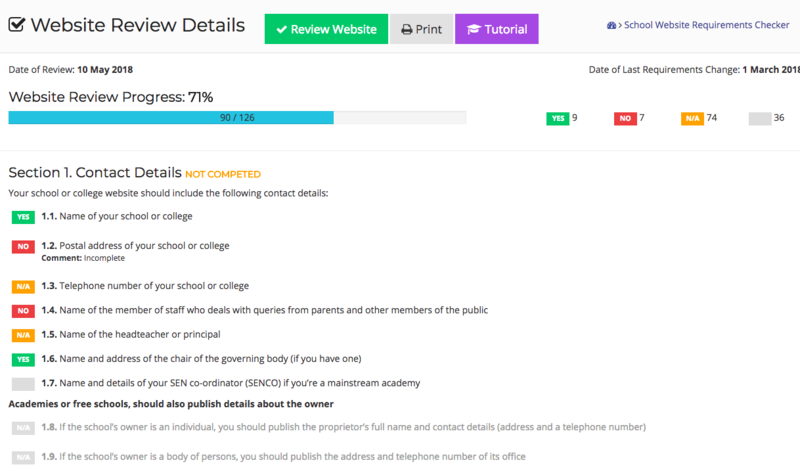 Then you only have to check the requirements that are appropriate to your school type and age groups. Click the big green "Review Website" button to begin reviewing your website. The School Website Requirements Check tool will then load your website in the space the left, and the criteria to the right. 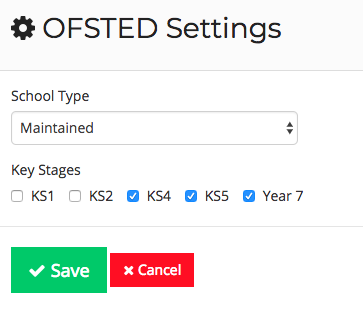 The requirements that are not applicable to your school, determined by your settings, will be greyed out. Each section includes the requirements for that section, and a tip from us about implementing these requirements on your website. Check your website against the requirements and mark off the criteria, either Yes/No/NA. If you would like to make a comment on a requirement, to produce a more detailed report, then click the speech bubble icon. A comment box will appear below the requirement ready to comment entry. 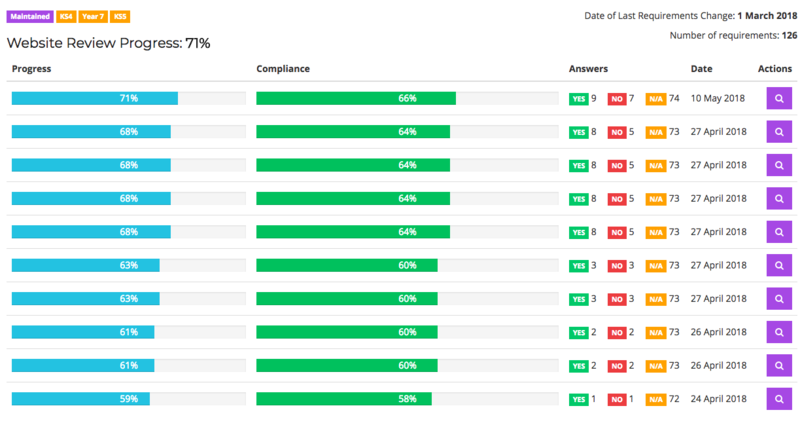 Once you hit "Save and Close" you will see a summary screen with an overview of your progress so far and how compliant you are. If you want to look into this further and see the comments you can hit the purple magnifying glass. This page also indicates when your website was last checked, as well as when the requirements in the online checker were last updated. You can continue or amend your review by clicking the green "Review Website" button and making any changes. By clicking the purple magnifying glass on the previous screen you can see a copy of your report. This screen will provide details of which of the criteria you have marked Yes/No/NA and will include any comments that you have made. The report page is printable, so if you'd like to print out a copy for your own records or to work from you can do so.